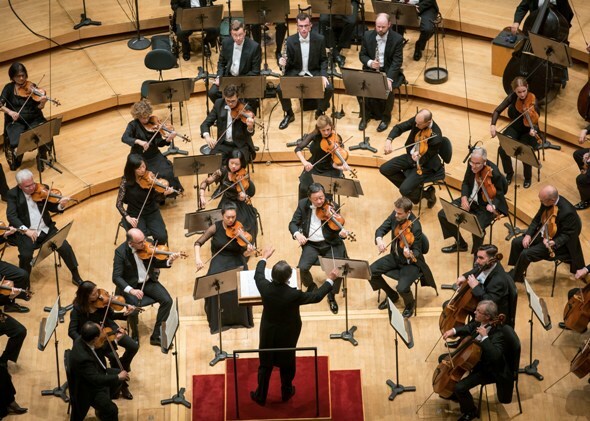 Review: Chicago Symphony Orchestra conducted by Riccardo Muti at Orchestra Hall. Repeats through Sept. 29. 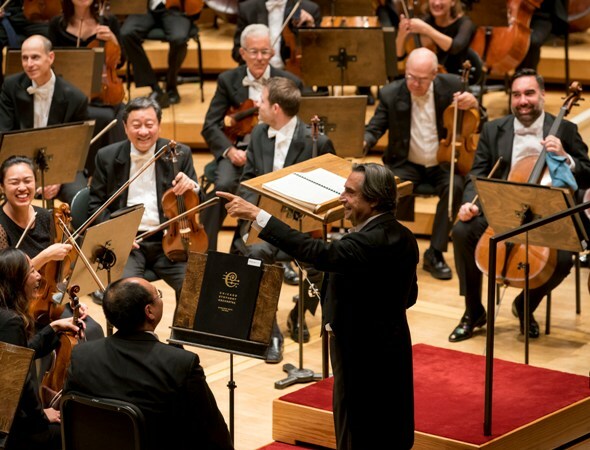 In effect, the two remaining Chicago Symphony Orchestra subscription programs of Riccardo Muti’s autumn residency satisfy the conservative musical tastes of the audience majority without broadening the repertoire or challenging the public to venture outside its comfort zone. 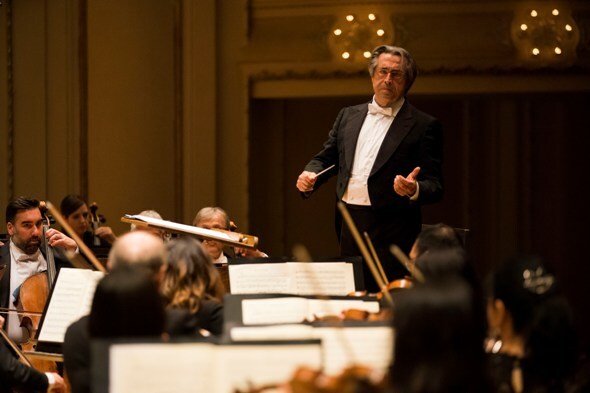 Muti’s programs promise more adventurous repertoire later in the season. Even so, even curmudgeonly critics had to acknowledge the consistently high level of performance the maestro drew from his remarkable ensemble in the program of 18th- and 19th-century favorites presented Sept. 27 at a packed and enthusiastic Orchestra Hall. Muti’s Mozart: Mediterranean warmth, hard to resist. A double dose of minor-key Mozart occupied the first half of the program, and, really, is there ever such a thing as hearing too much Mozart? Muti devoted the second half to one of the biggest and most colorfully orchestrated showpieces in the canon, Rimsky-Korsakov’s “Scheherazade.” Though not without smudges here and there, each familiar piece benefited from the warmth of expression and freshening of detail one has come to expect from Muti and his musicians at their most musically, and mutually, engaged. 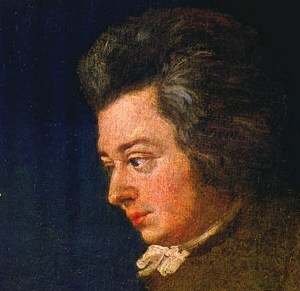 For both Mozart works – the “Don Giovanni” Overture and Symphony No. 40 in G minor – Muti used a fuller complement of players than audiences are used to hearing in this day of leaner, period-style Mozart. 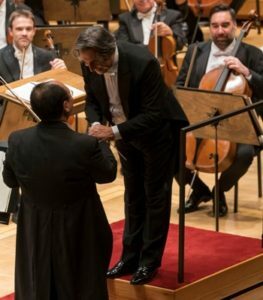 It was hard to resist the Mediterranean warmth of these performances, steeped as they were in the mellow Classical sensibility of the Vienna Philharmonic, with which Muti has led countless Mozart performances in a continuous association with that venerable ensemble lasting more than 45 years. Despite the large forces, the overture brought a good balance of strings and winds, also clear textural detail. Muti the man of the theater conveyed a tingly sense of the dramma giocoso that would have ensued in a complete performance. Theatrical savvy: The “Don Giovanni” Overture conveyed a tingly sense of the dramma giocoso that would have ensued. The maestro has been systemically making his way through the great Mozart symphonies with the CSO – they offered the “Linz” last March and Nos. 25, 34, 36, 38 and 41 on previous occasions. One must wonder, however, why Muti and his band saw fit to bring back the 40th only three years after their previous performance on the subscription series. A Mozart symphony he hasn’t previously done here – No. 39, for instance – would have been more welcome, if less apt a pairing with the “Don Giovanni” Overture. In any case, we heard the version of the 40th symphony that uses a pair of clarinets and includes alterations to the parts for oboes. With all repeats observed, phrases elegantly tapered and nicely articulated woodwind playing, this was, in the main, satisfying big-orchestra Mozart. Tempos were well chosen, save for a third movement where a relaxed trio was insufficiently set off from the surrounding minuet, “comfortable” to a fault. Muti chose not to spotlight the famously dissonant unison phrase in the development section of the finale, as some modern interpreters are wont to do. Time was when Rimsky-Korsakov’s popular symphonic poem “Scheherazade” was banished to pops concerts and attempts to bring it into more serious musical contexts were subjected to critical derision. But those days are long gone and Rimsky’s grand “Arabian Nights” fantasy can now be appreciated for its lusciously colorful orchestration and richly atmospheric writing for virtuoso orchestra. It’s a piece that got me, and many such as myself, hooked on classical music at a young age; one hopes it exerts a similar pull on others who may be hearing ti for the first time at the Muti concerts. 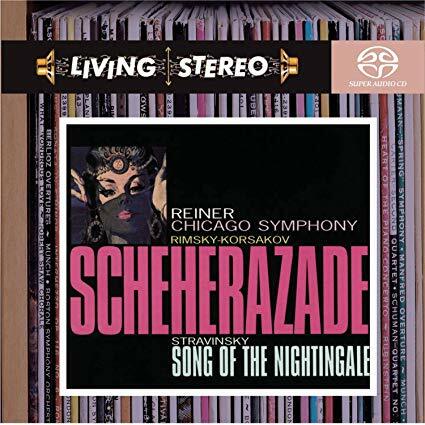 Fritz Reiner’s famous RCA recording, taped at a pre-renovation Orchestra Hall in 1960, has been the benchmark for every performance of “Scheherazade” the Chicago orchestra has given here for nearly 60 years, and every other orchestra as well. The “Scheherazade” on offer Thursday night was not in that exalted league, but it often came close in its full-throttle excitement and summoned exceptionally fine playing to boot. Within a more moderate tempo than usual, Muti made the swell of the waves beneath Sinbad’s ship feel grand and majestic, building this opening section for sweeping effect. The voice of the eponymous storyteller could hardly have been more seductively taken than by the sweet-toned playing of concertmaster Robert Chen. But he had stiff competition in the solo parts taken by various other principal players, including clarinetist Stephen Williamson, bassoonist Keith Buncke and flutist Stefan Ragnar Hoskuldsson. William Welter, the young, recently appointed principal oboe, played the notes capably but needed to shape his obbligato lines more boldly, per the example of his charismatic colleagues. Praise for sweet-toned Robert Chen. The second movement, “The Tale of the Dervish Prince” (usually listed as “Tale of the Kalender Prince”), was a highlight, the martial music all knife-edged precision. Muti took “The Young Prince and Young Princess” at a smart clip without slighting romantic atmosphere, although the section was marred by a miscalculation: Williamson was motioned to begin the Arabian dance so softly that his clarinet solo was all but obliterated by the snare drum. The finale packed a powerful adrenalin rush of orchestral sound, blazing brass and percussion lashed with stormy strings, building to a huge climax evoking Sinbad’s ship breaking apart on the rocks. The Chicago musicians threw themselves into the score with proper weight and top-to-bottom cohesion. Muti’s deep involvement went far beyond the sweeping arcs of his baton: At one particularly furious moment he leaped from the podium as if he were channeling the lamented Leonard Bernstein. 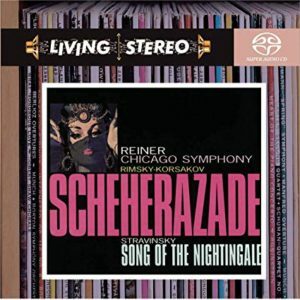 After Rimsky-Korsakov’s “Scheherazade,” Muti acknowledged solos in abundance.